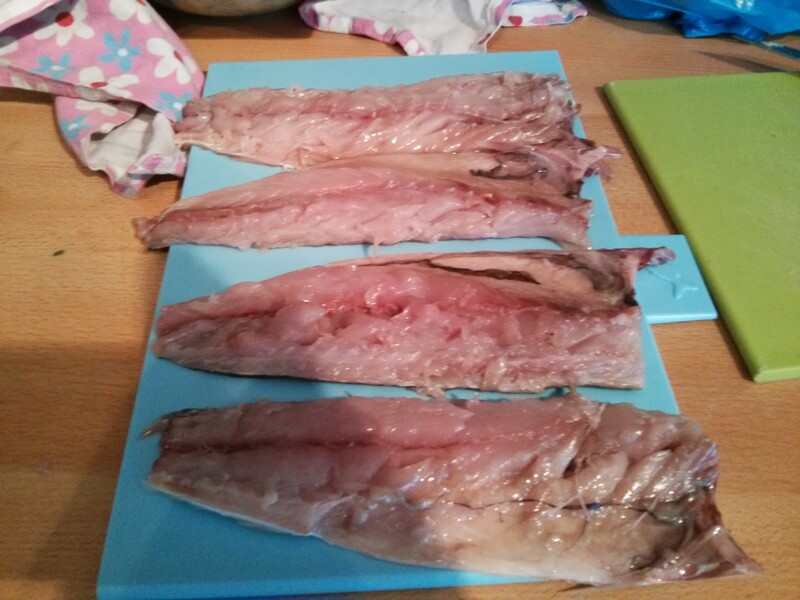 Inspired by Saturday Kitchen the the other week, I decided I wanted to try smoking fish myself. 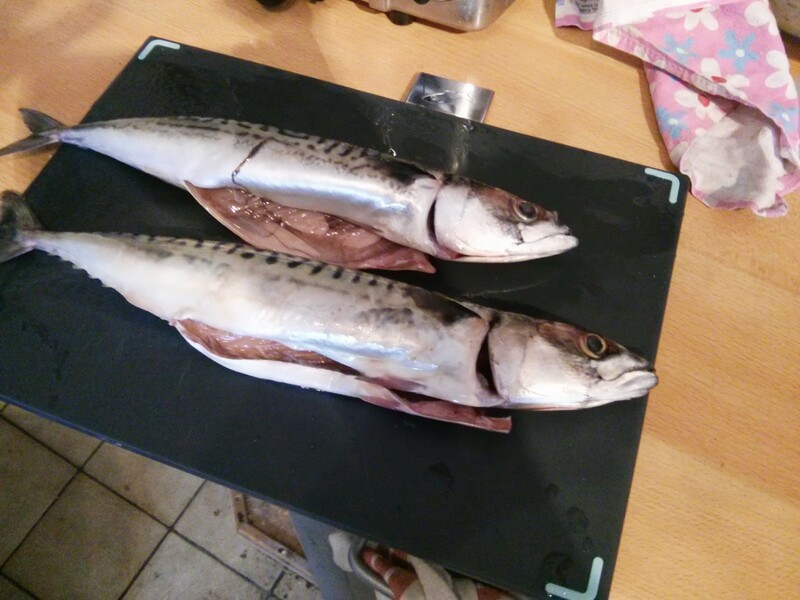 I got a couple of mackerel from Borough Market. I topped and tailed, them, then cut them open and split along the back bone. I don’t have a proper smoker, so I improvised with the only big deep pan we’ve got a lid for. 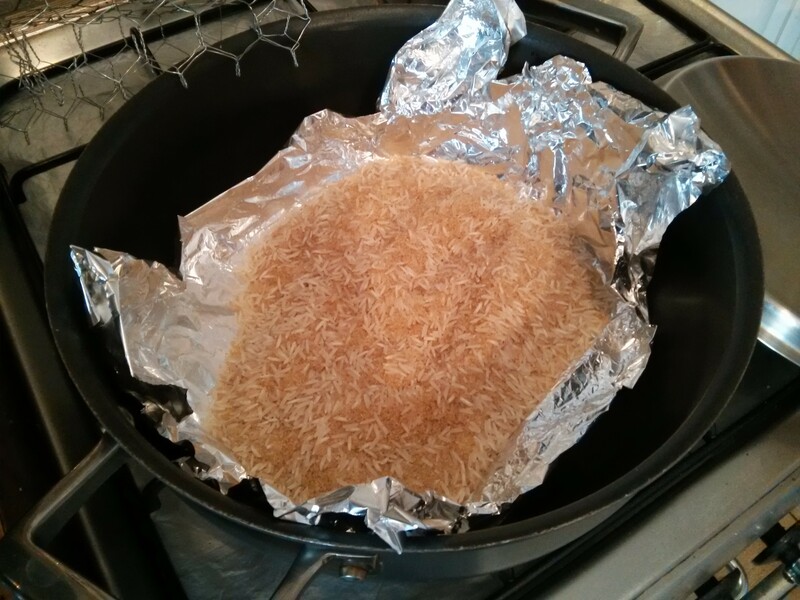 I lined it with tin foil and put a mix of 200g of Demerara sugar and 200g of rice. 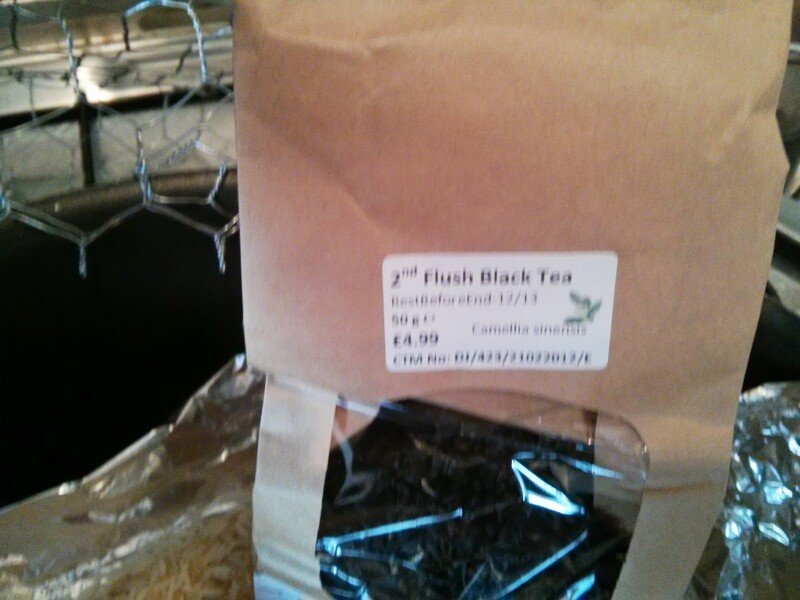 For the tea I used some teat that, according to the guy on one of the tea stall at Borough Market, works well for smoking. Apparently the ‘second flush’ part is important…? This got sprinkled on top of the rice/sugar mix. Then the stand for the fish goes over the smoking mix. 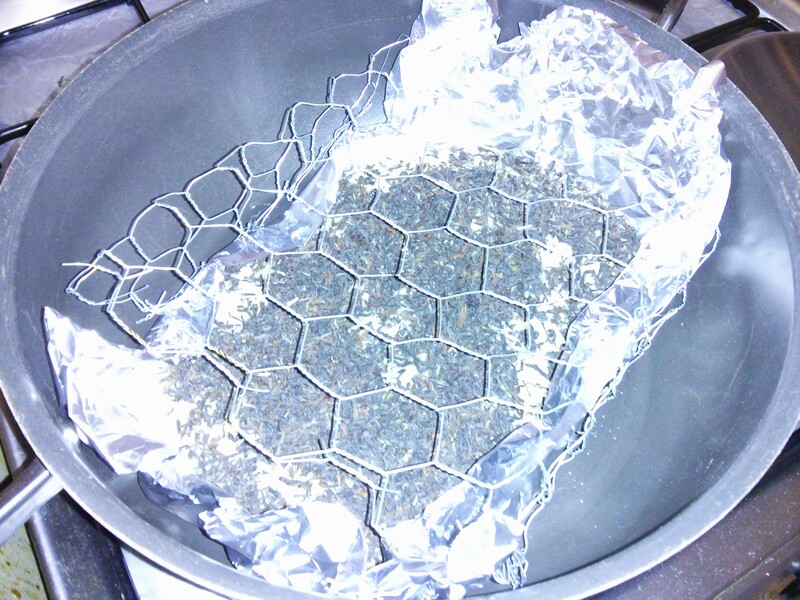 Yes… that’s chicken wire! It allowed to me fashion a stand that was the right height for the fish to go on. 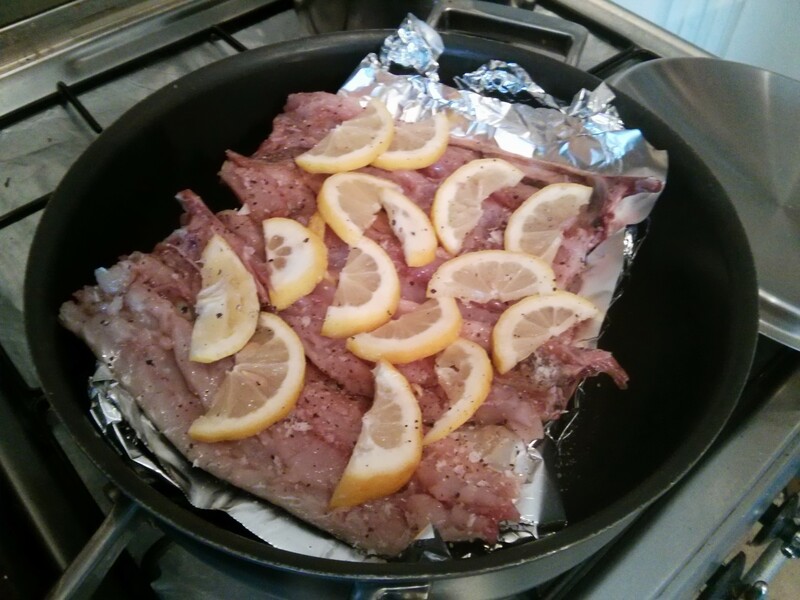 The fish goes on foil, and gets topped with slices of lemon, and on this chicken wire stand! That gets heated on a high heat until it starts to smoke. 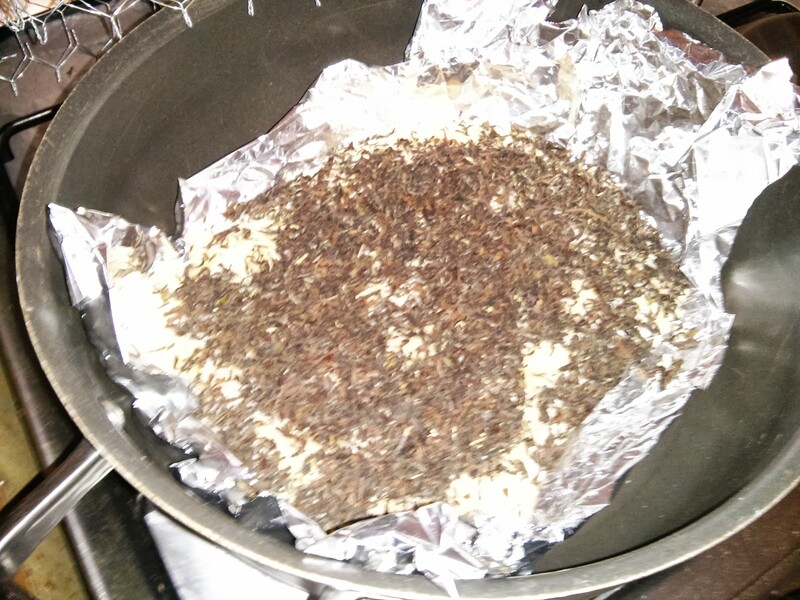 Then the lid goes on for 15mins at high heat, then you take the lid off (outside due to all the smoke!) and the fish is ready. 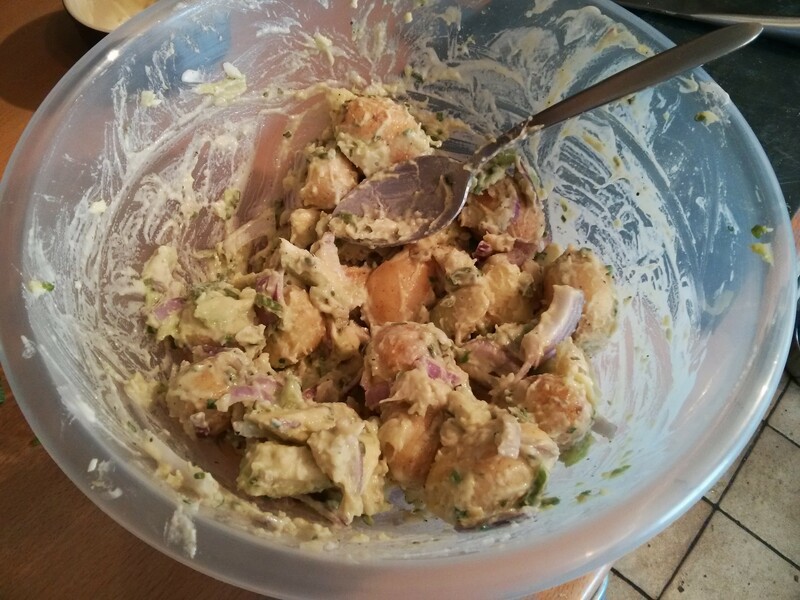 Meanwhile we made a potato salad to go with it. 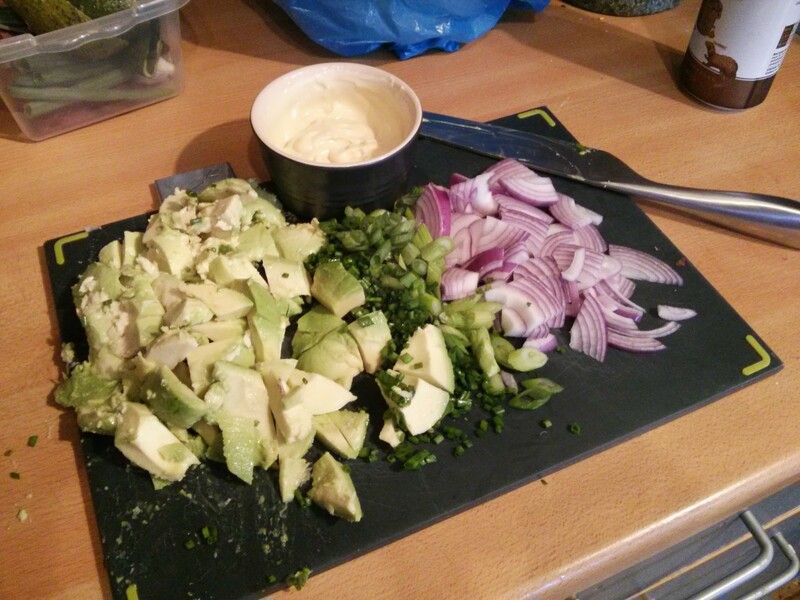 Due to cheap avocados as Borough it’s got avocado in it, plus the mor normal red onion, spring onion, light mayo, mustard and white wine vinegar. And that just all got mixed up. 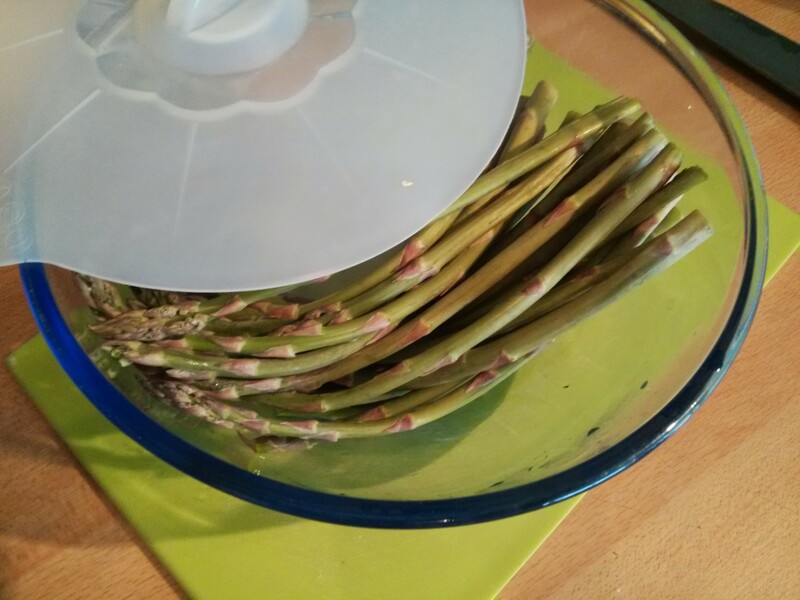 I also did some asparagus, also from Borough. This just got done in the microwave: in a covered bowl with a splash of water and cook for 2m30s. Finally I did poached eggs. No action picks of this as it’s a right faff doing it, and there’s no time for pics! Basically it’s a big pan of boiling water with salt and white wine vinegar in, make a whirlpool and gently slide the eggs in. 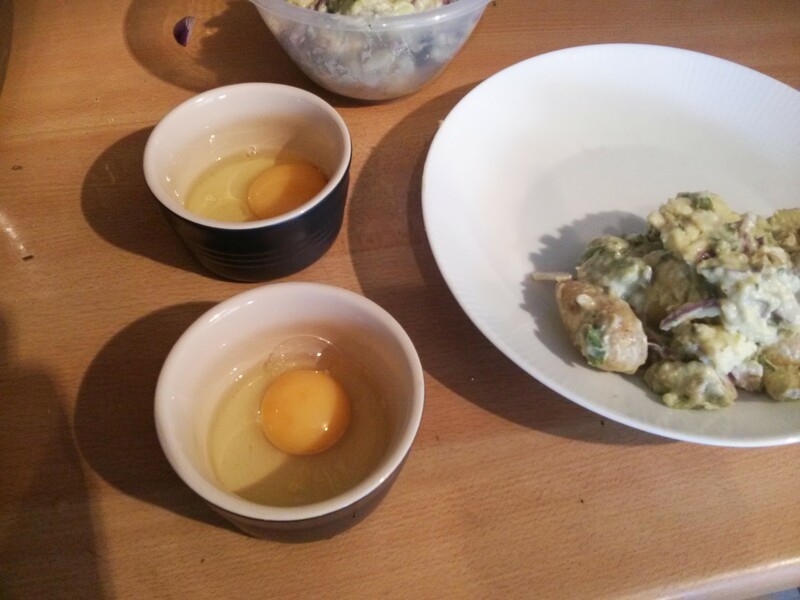 I put the eggs in ramekins to make the slide in as gentle as possible. Very complicated but obviously successful. I wouldn’t have expected to put rice & sugar as a base but I’ve never smoked fish. 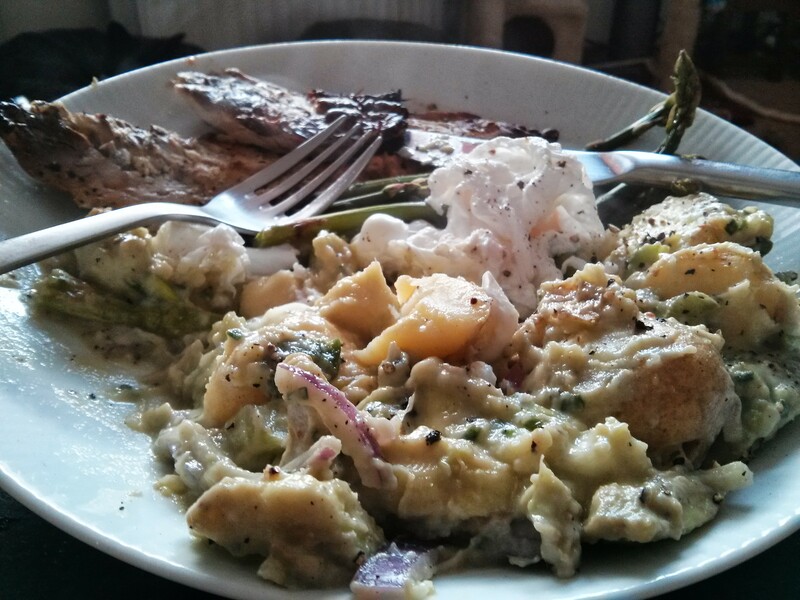 With all that smoke in the kitchen your smoke alarm was probably getting twitchy.